I was born in 1972 at Fianarantsoa, on the “plateau” of the island of Madagascar, in the southern part. At the age of 6 I began the catechism course at the Reparatrice sisters, I was truly a little beginner in the practice of the faith! After the course, on arriving home I said to my mother: “when I am grown up, I well enter the religious life”. That first desire, which was my first vocation, grew very much in me. After my first communion and my confirmation, I decided to look for a congregation that could help me to respond to the call of Christ to follow him in the religious life. So, for several months, I was looking for a path that would meaning to my life. With the help of the Parish priest, I obtained information from several congregations, to soothe my thirst. In 1999, I knocked at the door of the Little Sisters of the Assumption in Sahalava-Fianarantsoa. This congregation responded largely to my search. I believe that God was waiting for me there to give me something to drink and slake my thirst at the source of His Love. I can share with you that the congregation of the Little Sisters of the Assumption pleased me, from my first visit. It responded largely to what I was seeking. First of all, by what is exterior and which drew my attention: their way of being and of acting with simplicity in the midst of the neighbourhood, with the people, the direct contact with different levels of the population. And also at the same time by what was coming from within, the charism: “To procure the Glory of God by the Salvation of the Poor and the Little Ones”, by manifesting the Love of the Father by the Salvation of the Poor and the Little Ones”, by showing the Love of the Father by the simple actions of daily life with the families of the district, by basing themselves of course, on the light of the Word of God. I began to walk with them in seeking the will of God for my vocation. 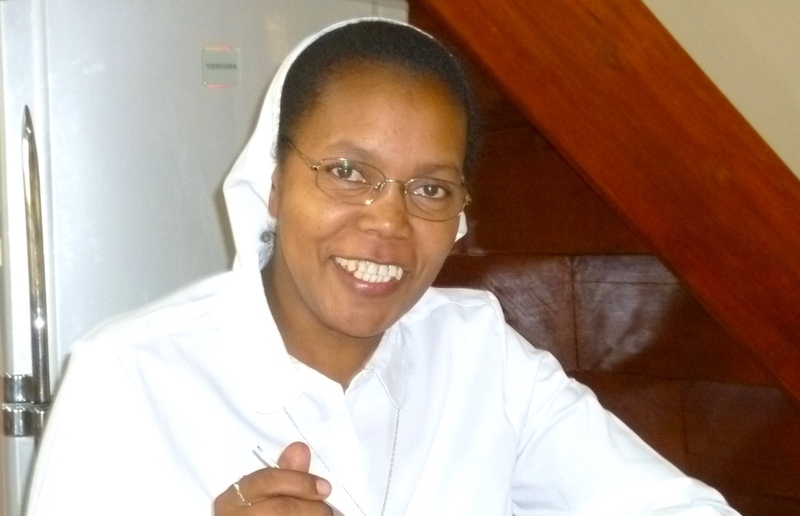 Stages followed and in 2002 I began the novitiate at Fianarantsoa, a stage of deepening and of more profound and more serious discernment; in 2004 I pronounced my first vows. Seven and a half years to grow and develop in the faith, in love and in hope, by advancing with the help of the Eucharist, of recollections, of retreats, of daily events, of times of individual, community prayer, and of an accompaniment. To live the first vows is the learning, slow and patient – but fruitful- of a life that is given. Then in the month of April 2012, I was committed finally in the Congregation as the first Malagasy Little Sister. What a celebration that day in Sahalava ! The parish, the people of the neighbourhood, our collaborators (men and women) representatives of the religious Congregations, the family of the Assumption, and my own family: all were there to show their communion, their union and their joy in the faith, the love and the hope in Holy-Trinity. Today, it is always with Christ, by Him and for Him that, in this approach to the family I try to give myself fully in a life project turned towards the others and towards God, who allows me to give and also to receive.